Registration for the GNSI 2019 Annual Conference in Brisbane, Australia is now open! Click here to register for the Conference. Day and Guest Registration will remain open through the conference, space permitting. Get your predatory nature ramped up for the 2019 GNSI Auction in Brisbane! Prowl through the silent auction for one of a kind items. Go on the attack during the live auction. The Bow Seat Ocean Awareness Program is hosting the 2019 Ocean Awareness Contest, for young artists, thinkers, and activists (ages 11-18). The program is seeking entries with the theme of Presence of the Future. Applicants are asked to create a piece about a coastal/marine species, place, or system that will be threatened, altered, or lost due to climate change. Submissions accepted include visual art, poetry, prose, film, and music. Deadline for submission - June 17th, 2019. The blog Love in the Time of Chasmosaurus is conducting a survey of paleoartists to understand how paleoartists practice their craft: how they research their work, what they charge their clients, how they work towards scientific rigor and avoid repeating errors in existing work. The anonymous survey can be found here. 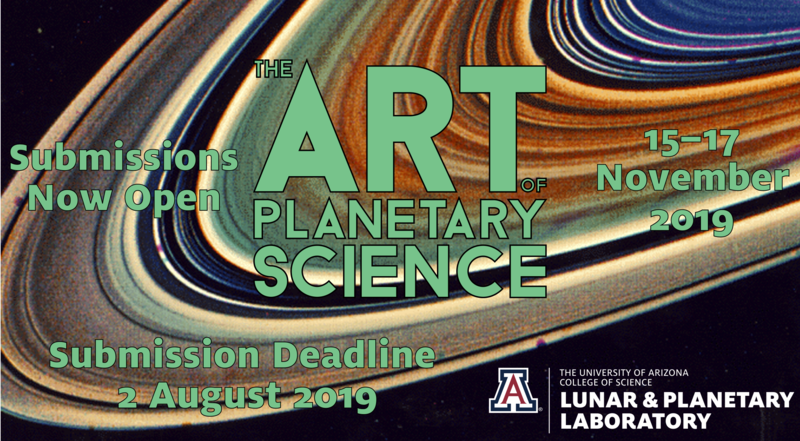 The Art of Planetary Science is an annual art exhibition run by the University of Arizona’s Lunar and Planetary Laboratory that celebrates the beauty and elegance of space science and related science fields. Submissions for fine art and data art are accepted through August 2nd, 2019. The exhibit will be held from November 15th through 17th at the University of Arizona in Tucson. Find out more information and submission instructions here. The GNSI and AMBI Members' Digital Exhibit - Call for Entries is Open! 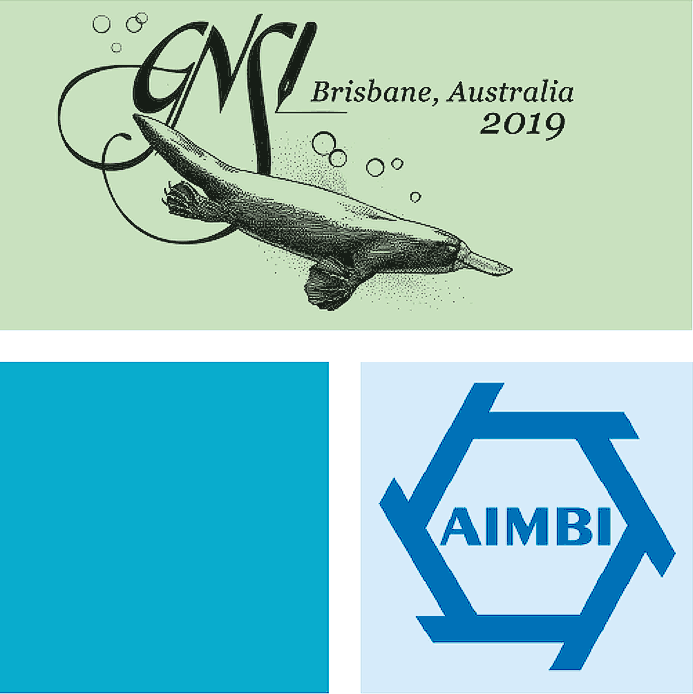 GNSI is excited to join with the AIMBI (Australian Institute of Medical and Biological Illustration) for our 2019 Conference Exhibit, digitally displayed at the Queensland Museum in Brisbane, opening reception July 1, 2019, at 7 pm. endorsement to or assessment of these organizations. decisions related to those organizations. who promote, educate, and celebrate the visual communication of science”. royalties organizations, they can contact ASIP and ASCRL directly. If you would like to be considered for a presentation, panel, workshop or spot in the Techniques Showcase, please fill out the form here and upload your abstract. If you are not yet completely sure that you will be able to attend, please submit an abstract now and let us know in the submission that your plans are not yet final. Abstracts are due by March 7, 2019. We will send out notifications accepting/declining submissions by March 15, 2018. The initial abstract submission form is much less detailed this year; if your submission is accepted, you will be asked to provide further information and materials for conference promotion and program. Please contact Samantha Peters ([email protected]) with questions or to further discuss your abstract. BioImages is an annual visual media competition that showcases the finest still, graphics and motion media work in the life sciences and medicine. Early this winter, you will be surprised with all the new and improved features at your same trusted URL of many years: www.gnsi.org. We are so proud about the upcoming GNSI website that we wanted to tell you all about it! 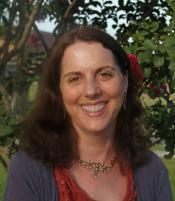 It’s interesting to recall that our online presence began in 1998 with a one-page static website created and maintained by GNSI member and webmaster Heike Blum. Step back in time and take a look. We have archived this legacy website to preserve the institutional memory and history: wayback.archive-it.org/10600/20180822190052/https://legacy.gnsi.org/. GROW YOUR SKILLS. EXPAND YOUR NETWORK. INSPIRE CURIOSITY. 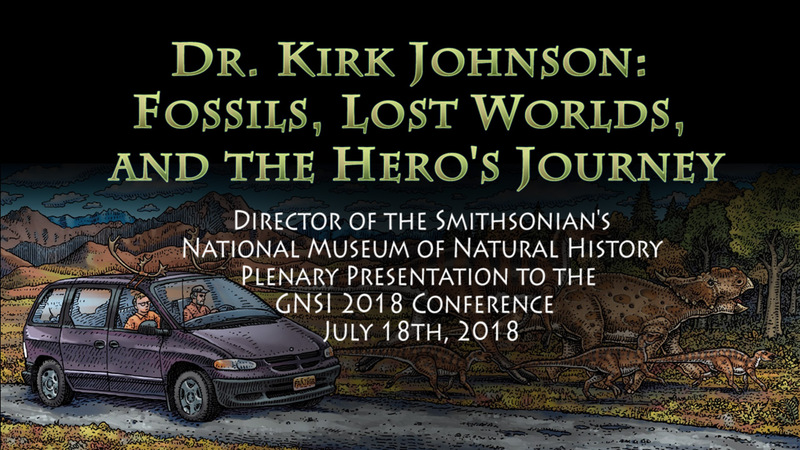 Each summer, the Guild of Natural Science Illustrators hosts a fun-filled week for artists, scientists, and educators from across the nation. The GNSI Annual Conference offers endless opportunities for brainstorming, professional development, and sharing local attractions alongside some of the brightest individuals in our field. With 160–200 attendees, every event provides enough diversity to catalyze great conversations and address different skill levels and interests while ensuring a comfortable environment for interacting and networking. As we navigate through a season that in North America includes the winter solstice and day with the shortest span of daylight in our calendar year, I am in a reflective mood. Since accepting the honor of serving as President of the Guild this summer, I have enjoyed the challenges and rewards inherent in collaborating with the diverse and rich leadership and expertise that all of you bring to this organization. My every meeting and correspondence has deepened my respect for each of you and broadened my hope for what we are and what we can become. The Distinguished Service Award (DS): Established in 1994, this award is given to long-term dedicated workers, those who have put in countless hours and have usually served both on the Board and have coordinated conferences or portions of conferences. The award is given after several years of ongoing service on the part of the member. The deadline for abstracts is coming up! Please note that the abstract submission process will be a little different this year than it has been in recent years. If you would like to be considered for a presentation, panel, workshop or spot in the Techniques Showcase, please fill out the form here and upload your abstract. Abstracts are due by February 28, 2019. At the 2018 GNSI Annual Conference, the long-time member, former President, and current Education Director and Archivist Scott Rawlins delivered an engaging and touching presentation about GNSI's first 50 years. 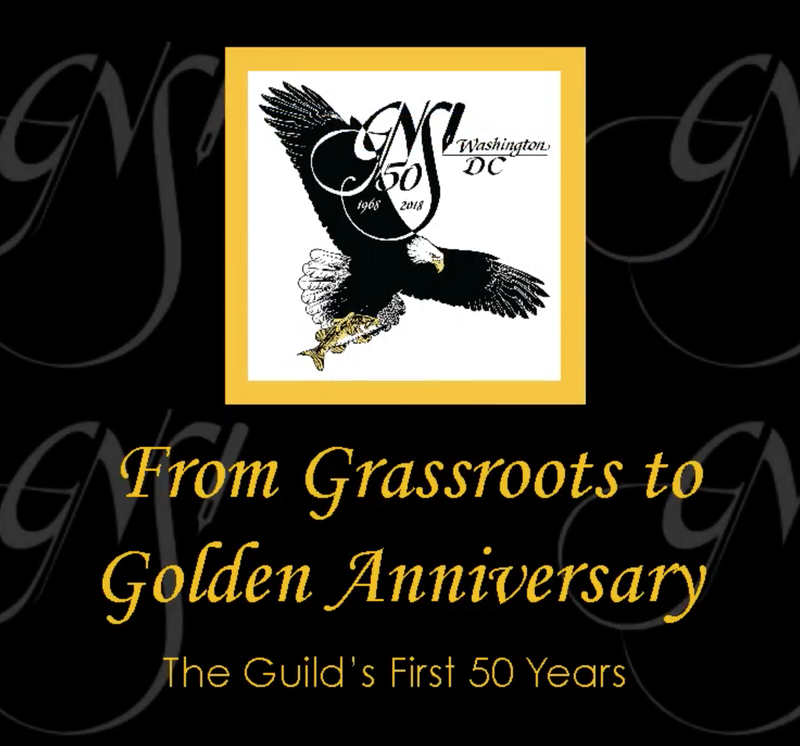 View or review the video at the YouTube channel to remember the history of the association and the many talented members that have shaped it over the years. 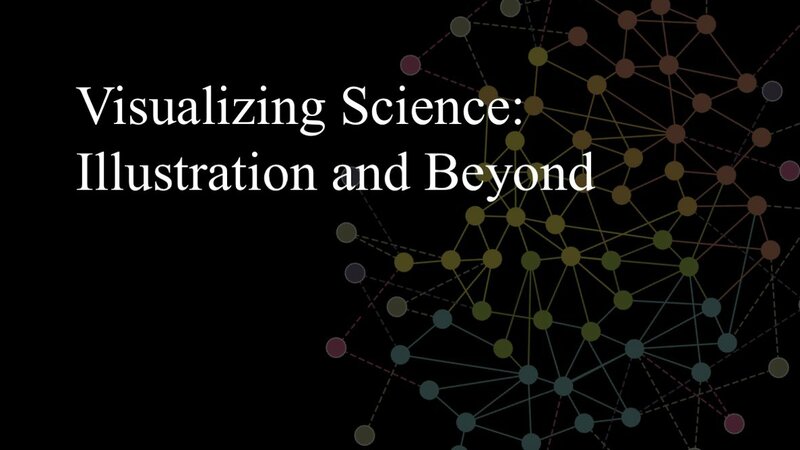 Plenary "Visualizing Science: Illustration and Beyond"
Jen Christiansen, Senior Graphics Editor at Scientific American magazine, and presenter at the 2018 GNSI Annual conference has made available the transcription of her plenary talk. Visit the blog post at SA Visual, to read Jen's thoughts about her career at the intersection of illustration, design, and science. The plenary talk is also available in video format at GNSI's Facebook page. Pollinator Partnership is seeking an artist to render the 2019 Pollinator Poster, this year focusing on “Endangered Pollinators and Their Habitats.” To apply, please send a one-page narrative concept idea with a draft sketch to Kelly Rourke at [email protected] by Monday, November 26, 2018. View this announcement online with added information. 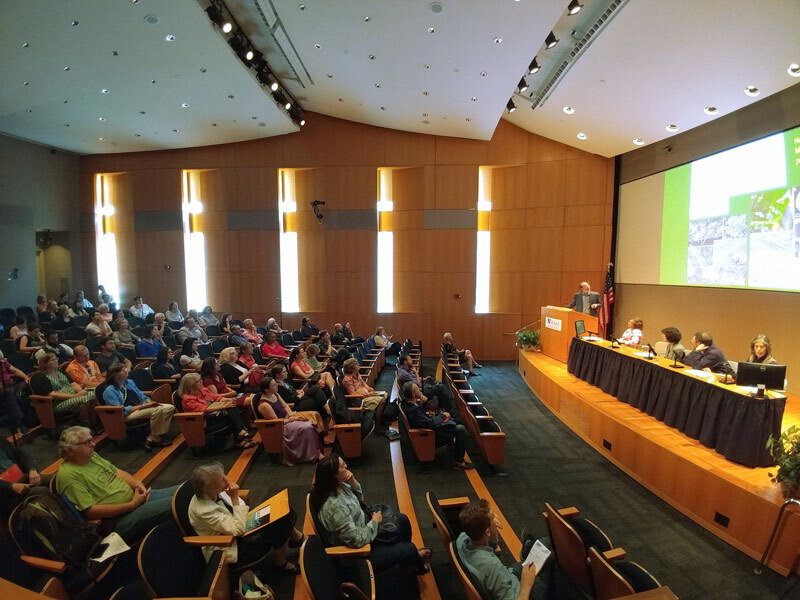 On September 18th GNSI members and a Smithsonian botanist participated in a panel discussion on the critical role of art used in the pursuit of science. The participants were (GNSI members) Sally Bensusen, Alice Tangerini, Britt Griswold, Diana Marques, along with (botanist) Kenneth Wurdack. In conjunction with the GNSI 50th anniversary exhibit “Visualize: Art Revealing Science” that was on display at the American Association for the Advancement of Science (AAAS) gallery, it was a well-attended event that gave all the panelists an opportunity to talk about their careers and about visual science communication at large. It was streamed on Facebook live and the video can be accessed here. In conjunction with the GNSI's 50th Anniversary, three videos of interest for the science illustration community have been added to our YouTube Channel. Scientific storytelling is presently undergoing a golden age as we realize how important narrative, imagery, objects, humor, and surprise are to the absorption of meaning. Fossils are exquisite objects but they are also fragments of very ancient stories, and paleontologists are time travelers on planet earth. Dr. Johnson became a paleontologist to explore these lost worlds. But “fossil” can also be a derogatory term and he found that many people were bored by rocks. He began to watch people to see how they responded to scientific information. Using their cues, he learned he could make fossils funny or describe geology in terms of food without losing the thread of insight. He began to write like he spoke. He realized you need to look at your audience, respect them, and look for what makes them smile. In 1998, he began to travel with artist Ray Troll in search of fossils, rock shops and museums, and to meet the people who found fossils and worked at those rock shops and museums. They spent ten years traveling together searching for the remains of the prehistoric Pacific. Dr. Johnson will share the story of their quest and the book which came out of it. Includes art by Ray Troll.